This week’s challenge is sponsored by INM. 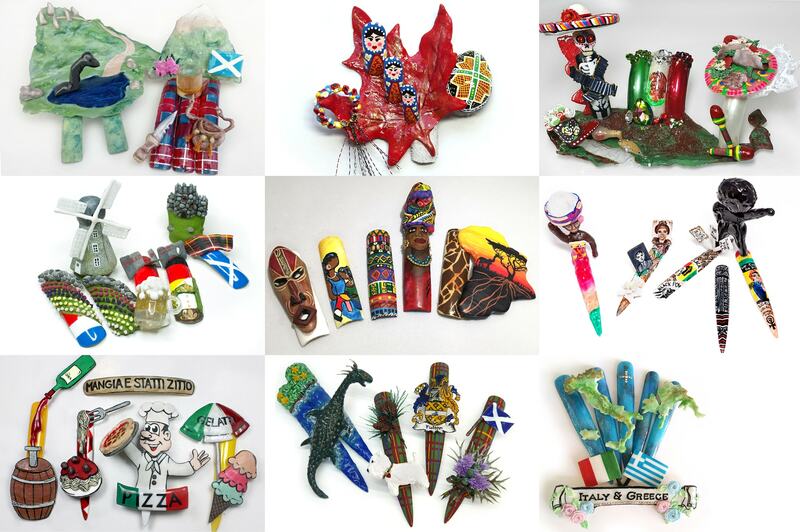 We asked our Top 9 to examine their own heritage and create their own set of “International Nails” inspired by the country (or countries) of their family’s origin. The design must be on five nail tips (not on a hand), and they could use any medium (or combination of mediums) they saw fit. We’ve posted their entries on the Week 4 Challenge page. Voting will be open until Thursday, October 2 at 12 PM PST. We’ll announce the results of Week #4’s challenge (the winner and who is eliminated) on Friday, October 3.